The Chamber Music Festival on Valentia Island Co. Kerry between 16th and 19th August 2018. During the festival there was a commemoration of Maude Delap, Victorian self-taught marine biologist and her ground breaking work in marine biology. An installation with soundtrack, live performance and slideshow of underwater images celebrating the pioneering marine biologist was presented at the Cromwell Point lighthouse on her home island of Valentia, Co. Kerry. The underwater photographs are by Brian Stone, who is a lecturer in the School of Computing and a member of the Water Institute at DCU and the sound track with live performance was by the composer Seán ó Dálaigh from Killarney Co. Kerry. Maude Delap (7 December 1866 – 23 July 1953) was a self-taught marine biologist living on Valentia Island, Co Kerry. Maude and her sister Constance were avid collectors of many marine species and amassed a collection which is now housed in the Natural History Museum in Dublin. Maude and Constance would collect their specimens by dredging and towing a net behind their punt which is reputed to be still intact and it is hoped to restore it in the near future. The sisters also collected data on things such as the sea temperature and changes in abundance of marine life, the sort of things that marine scientists are still doing today.Maude kept an aquarium in her home where she brought various species from the sea indoors to observe and document their behaviour and their biology. One such was the Chrysaora isosceles or Compass Jellyfish. This jellyfish has a complex lifecycle of several intermediate stages (medusa and hydra) and up to that time there was no understanding of how they lived, what they fed on or how they reproduced. There were no research papers, journal articles, documentation of any kind or indeed any understanding of the life cycle of jellyfish. 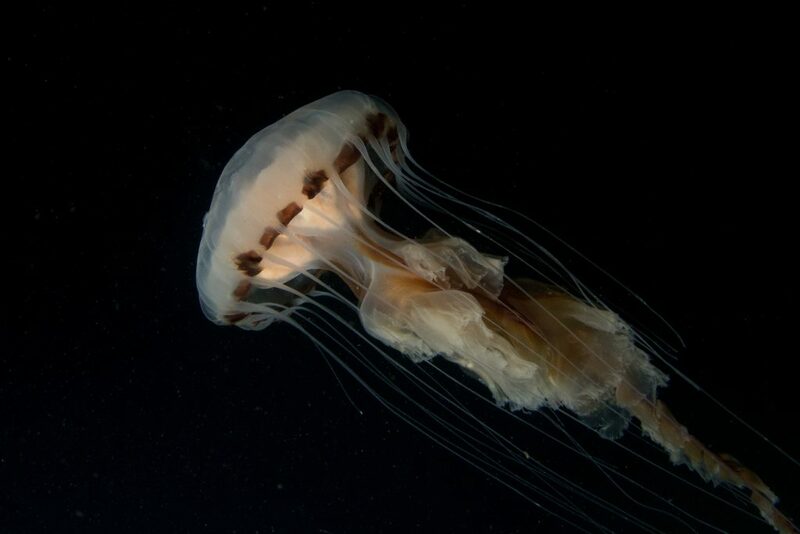 Indeed, some thought that jellyfish spontaneously appeared in the sea and had no notion of these animals having a life cycle at all. Maude Delap published the important paper “Notes on the rearing of Chrysaora isosceles in an aquarium”, Irish Naturalist. 10: 25–28 in 1901.Maude also took a keen interest in archaeology, folklore, botany and zoology like many other amateur naturalists of her day. Today Maude and her sister Constance would be known as a Citizen Scientists for their interest in nature and her contribution to science through observation, experimentation and publications. Maude was the daughter of Rev. Alexander and Anna Jane Delap, seventh of ten children. Her father was rector of Valentia Island and Cahersiveen. Maude had little formal education as was common with middle class girls at that time, boys were educated to take on a profession and develop a career. Girls were expected to marry, raise a family and support their husband’s careers. Today our interest in the marine environment is centred around the understanding, conservation and management of commercial and other species, the effects of global warming, pollution, the destruction of habitat like the coral reefs of the world and our effects on the environment as well as natural phenomenon and their effects on the changing environment. We are at a turning point and it is critical that we understand the interaction of species, their life-cycles and the effects of their destruction. This work that is being done today would not be possible without the contribution of ground breaking scientists like Maude Delap helped provided us with the basis for our current understanding of the oceans. That understanding has helped with the important questions of today, our research into those questions and finding solutions to the life threatening situation facing humanity and the planet with the destruction of our marine habitats. Edge is imagined here as the liminality of tide where land and sea meet creating a cacophony of critters for the senses, like the “heroic jumble of books, specimens, aquaria, with its pervasive low-tide smell”, described by Maude Delap’s nephew in response to his experience of her laboratory”. Sean goes on to write: “The sound track is made up of processed field recordings from on Valentia and in the surrounding waters. These undergo fragmentation and re-synthesis to create and entanglement of the under and overwater materials. The installation is a 4 hour performance where I interact with the soundtrack live using electric guitar, violin and objects”. The photographs are all underwater images from Irish waters as well as from other locations around the world including the mid-Atlantic Ocean, the Mediterranean and the Caribbean. They include images of the Compass jellyfish that Maude Delap worked on as well as many other species, large and small, from whales and dolphins to tiny seaslugs, strange fish, sponges and anemones, reflecting the work of Maude Delap and our wider interest today in the oceans of the world and their exploration and conservation. In the near future the installation will form the basis of a permanent installation for the lighthouse in a room specially constructed and renovated to house it and named after Maude Delap. The aim is to commemorate the work of Maude Delap (with Maude Delap as a role model), and to encourage young people and especially young girls to take an interest in science, the marine environment and innovative music.